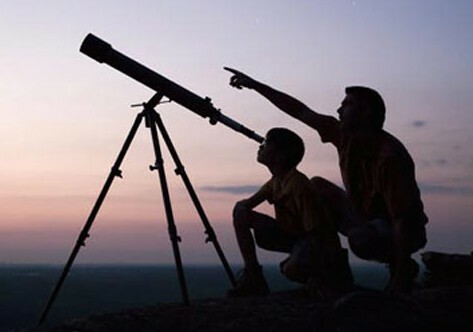 Here is a summary of recent podcast of Unbelievable between intelligent design proponent Stephen C. Meyer and UC Berkeley evolutionary biologist Charles Marshall. Dr. Marshall had previously reviewed Dr. Meyer’s new book “Darwin’s Doubt” in the prestigious peer-reviewed journal “Science”. Stephen C Meyer is the world’s leading Intelligent Design proponent. His new book Darwin’s Doubt claims that the Cambrian fossil record, which saw an “explosion” of new life forms in a short space of time, is evidence for ID. Evolutionary biologist Charles Marshall of the University of California, Berkeley has written a critical review of the book. He debates Meyer on whether Darwinian evolution can explain the diversity of life in the Cambrian rocks. You can get the MP3 file here. The brief summary this time is not provided by me, it’s from Evolution News. This past weekend Britain’s Premier radio network broadcast a debate between Stephen Meyer and UC Berkeley paleontologist Charles Marshall, recorded at the beginning of November. 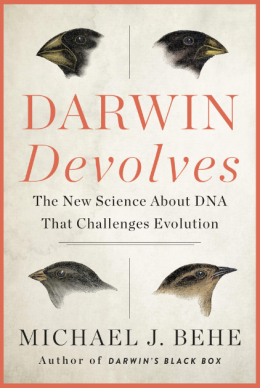 As David Klinghoffer noted yesterday, the subject of the debate was Meyer’s book Darwin’s Doubt. Yes, that’s the same Charles Marshall who reviewed Darwin’s Doubt in Science back in September. See here for our multiple responses. It was an excellent debate, with both participants offering important insights and good arguments, though in my opinion Meyer unquestionably had the better of it, especially concerning the key scientific question of the origin of the information necessary to build the Cambrian animals. Nevertheless, both parties came to the table ready to engage in serious, thoughtful, and civil discussion about the core issues raised in Darwin’s Doubt, and we commend Marshall not only for participating, but for focusing his critique of the book on the central scientific issues, something other critics have conspicuously failed to do. The debate was consequently both constructive and civil. Both parties complimented, as well as critiqued, the work of the other. Marshall, for example, described the first third of Darwin’s Doubt — the section that discusses the Cambrian and Precambrian fossil record, Marshall’s own area of principle expertise — as “good scholarship.” He also said it “looks like good science” and that Meyer “writes well,” and that he (Marshall) “really enjoyed reading”Darwin’s Doubt. Meyer, for his, part expressed his admiration for Marshall’s many scientific papers in paleontology and noted that he had been looking forward to the conversation because he and Marshall clearly “shared a passion for the same subject,” despite their different perspectives. Of course, Marshall is not pro-ID and both men expressed spirited disagreements, but they did so in a mostly respectful way that made the debate all the more interesting and engaging to listen to. I was very impressed with Dr. Marshall’s performance during the debate, although he did try to poison the well a bit against ID at the beginning, and he got nasty at the end. It’s amazing how Dr. Meyer was able to get him to stop it with the politics and get serious, just by sticking to the science. Even when Marshall got insulting at the end, it was still valuable to see how the other side has to abandon rational argument and scientific evidence once they see that they can’t win on the merits. It’s “Inherit the Wind” in reverse. Evolution News also posted a more complete guide to the debate in this post, and I recommend that you read that post before listening to the debate if you are not familiar with the science. This is a great debate, and you definitely ought to listen to it. I hope I’ve posted enough here to convince you. If you haven’t yet bought “Signature in the Cell” and “Darwin’s Doubt“, then I urge you to get them, although they are intermediate/advanced level books. The two books are the state of the art in intelligent design research, good enough to be debated with a University of California, Berkeley professor of biology. Dr. Meyer is the real deal, and if you want to be convincing on these important scientific issues, you need to learn the scientific evidence from his books. If you are not a regular reader of the Evolution News blog, you really should be. It’s also a good idea to subscribe to the Intelligent Design: The Future podcast.